Next Class begins March 31, 2019. Sundays from Noon till 3. Accelerated course, limited spots. Packages available that include the Course, Materials, Mask, Fins, Snorkel, Boots (yours to keep), all rental equipment, fees and Checkout Dives. $600-$650 depending on what you chose. Contact us Today for these Special Prices and to reserve your spot. We are currently taking reservations for this class. We are 4 Doors past the Super 8 Motel on the right. Parking and Entrance are in the rear. Contact Us and call (304) 242-3676 or send us a message. We have Gift Cards for any amount! 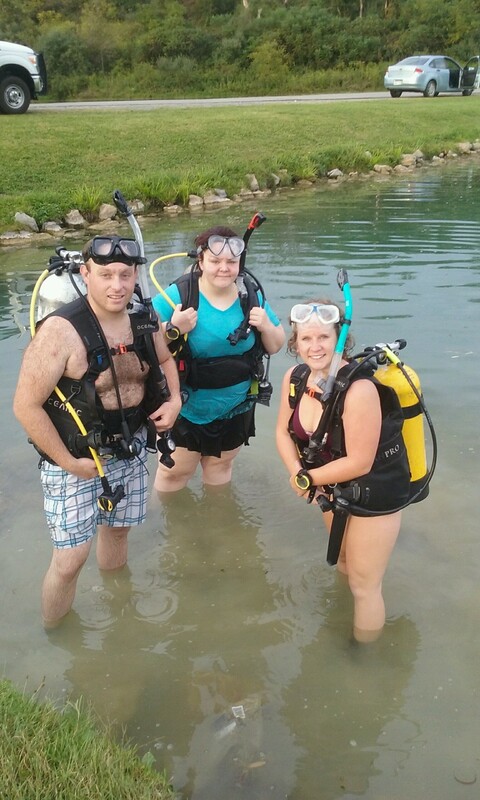 Learn To Scuba Dive Now! Next Class Begins March 31, 2019. Chose the Specialities That Interest You! From I-70 East or West, Take exit 5, Elm Grove. Go Right onto Route 40. Go about 1/4 Mi. We are on the right. 4 doors past the Super 8 Motel. Parking and Entrance are in the rear. We are in the former Sterling Sound Building if you know where that is.